Over/Under: Over 154.5 at 1.87 Bet Now! 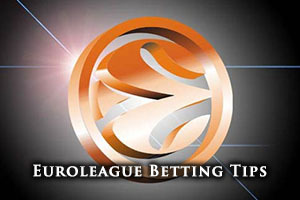 This is a game between two sides who have clashed 30 times on the Euroleague stage and at this point, the record stands at 15-15. The two teams met at the playoff stage last season with CSKA Moscow progressing after five games but this year sees the head coach of CSKA Moscow returning to his former club. Dimitirs Itoudis was an assistant at Panathinaikos for 13 years, and he played a role in helping the Greek side to 5 Euroleague titles. It is not as if his loyalties will be stretched but it will be understandable that Itoudis will have the odd moment to himself during this run of games. 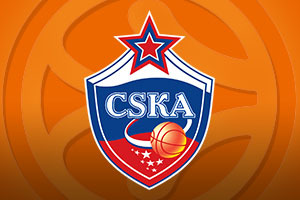 Over the course of their Euroleague campaign, CSKA Moscow has notched up a 22-2 record, which is highly impressive. The team picked up a perfect 10-0 in the regular season and a 12-2 in the Top 16. There was a slight wobble with the 2 dropped games in a row but other than that, CSKA Moscow have been in tremendous form all campaign. Panathinaikos haven’t been at the same level but to be fair to the away side, no team has. The Greeks hold a 12-12 record in the Euroleague this season and there has been a touch of symmetry in the two stages of the season for the Greeks so far. They achieved a 5-5 record in the regular season while picking up a 7-7 record in the Top 16. With this playoff round being the best of 5, they know that their act of symmetry will definitely come to an end at this stage of the season. With respect to average points scored, the team from Moscow has a big advantage with 87.8 compared to 75.7. Nando De Colo has bene an instrumental figure for CSKA Moscow this campaign, serving up an average of 14.0 points per game. He has been a key player, but he hasn’t been the only important player with Andrey Vorontsevich helping out, offering up an average of 6 rebounds per game. Milos Teodosic has also been an integral figure for the Russian side, offering an average of 7.2 assists per game. For the Greek side, Esteban Batista has been crucial, and he will be in these games. He has offered up an average of 10.9 points per game and he has also managed to provide an average of 6 rebounds per game. Another crucial player for the Greek side has been the veteran Dimitris Diamantidis, who has helped out with an average of 6 assists per game this Euroleague campaign. CSKA Moscow are still well clear at the top of the Russian league, sitting with a 26-3 record so far this season. Their most recent game in the league was a 68-109 win against Tsmoki-Minsk on Saturday. As for Panathinaikos, they are currently second in the Greek table, with a 20-3 record. They haven’t played a domestic game since the 30th of March, where they defeated Panionios 46-79. Bwin make CSKA Moscow the clear favourites for this game, placing them at odds of 1.10 to win the match. If you fancy the handicap odds, taking the Russian side with a handicap of -11.5 at odds of 1.87 is likely to be a decent bet for the first round of this series. If you have an interest in the Over/Under market, look to go OVER 154.5 at odds of 1.87. Bet Now!